How Can You Stop Dementia from Progressing? 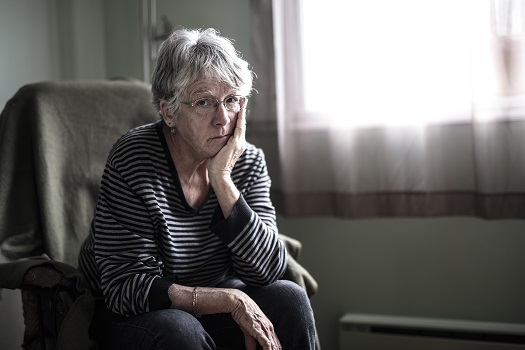 Statistics indicate that more than 560,000 Canadian adults live with dementia, and the number is expected to nearly double in the next 15 years. Many different disease processes lead to dementia, which is largely incurable. However, there are lifestyle habits that have been shown to prevent or slow the progression of the disorder. Here are a few ways family caregivers may be able to stop dementia from progressing. There is a direct correlation between cardiovascular health and cognitive wellbeing. Brain tissues require adequate blood flow to get oxygen and other nutrients. A healthy diet supplies the body with the nutrients needed to maintain energy levels and normal function of all the body’s systems. The Mediterranean diet is often recommended and consists of fish, poultry, olive oil, vegetables, and fruits along with whole grains. The Dietary Approaches to Stop Hypertension (DASH) diet can also boost overall health. The dietary regimen includes plenty of fruits, vegetables, low-fat or fat-free dairy products, and fewer amounts of fish, poultry, fish, nuts, and whole grains. Both of these diets ensure the body and brain receive sufficient amounts of complex B vitamins that are needed for healthy nerve cell function. The cardiovascular system also needs vitamin C and E. Olive oil and oily fish supply the omega-3 fatty acids that are also essential. Switching to nutritious foods is not the only way older adults can boost their health and wellbeing. Seniors who want to remain healthy as they age can benefit in a variety of ways when they receive professional home care. Winnipeg, MB, Home Care Assistance is here to help your loved one accomplish daily tasks, prevent illness, and focus on living a healthier and more fulfilling life. Physical activity enhances cardiovascular function and subsequent blood flow. The boost in blood circulation increases the level of nutrients in the brain and strengthens the cardiovascular system. Engaging in moderate levels of exercise three times every week has been proven to enhance cognitive function even if started later in life. Along with cognitive health, routine exercise strengthens bones and muscles while increasing flexibility and balance. Older adults who need help exercising should consider professional in-home care. Winnipeg elder care professionals can be a wonderful boon to seniors. Whether they require around-the-clock supervision or just need assistance with exercise and household tasks a few days a week, seniors can enjoy a higher quality of life with the help of trusted in-home caregivers. There are several ways older adults can boost their heart health. One of the ways involves maintaining a weight that is appropriate for their age and body size. Encourage your loved one to stop smoking, keep cholesterol levels within normal range, have hypertension diagnosed and treated, take the time to relax, and learn to reduce stress. Engaging in activities that require mental concentration, focus, and problem-solving helps the brain maintain the connections between neurons. Performing activities that require visualization and using the limbs further stimulates the brain. Reading new material, learning a new activity or hobby, dancing, and solving puzzles are all recommended for maintaining brain health. Varying activities from day to day challenges the brain and stimulates different regions. Seniors who enjoy regular social activities typically exhibit less cognitive impairment. The theory behind socialization involves the connections that develop between neurons. Social activities include keeping in close touch with family members or friends, attending church services regularly and taking part in church functions, visiting senior centers, and attending classes especially created for older adults. Volunteering for community activities is also a good way to make new friends and accomplish a worthwhile task. Dementia can be challenging for seniors to manage, but they can maintain a higher quality of life with the help of professional dementia care. Winnipeg seniors can benefit greatly from the Cognitive Therapeutics Method (CTM), an activities-based program designed to promote cognitive health and delay the onset of dementia. CTM is included at no additional charge with any of the in-home care plans provided by Home Care Assistance. To talk to one of our professional Care Managers, give us a call at (204) 489 6000 today. Do All Aging Adults Get Dementia at Some Point?